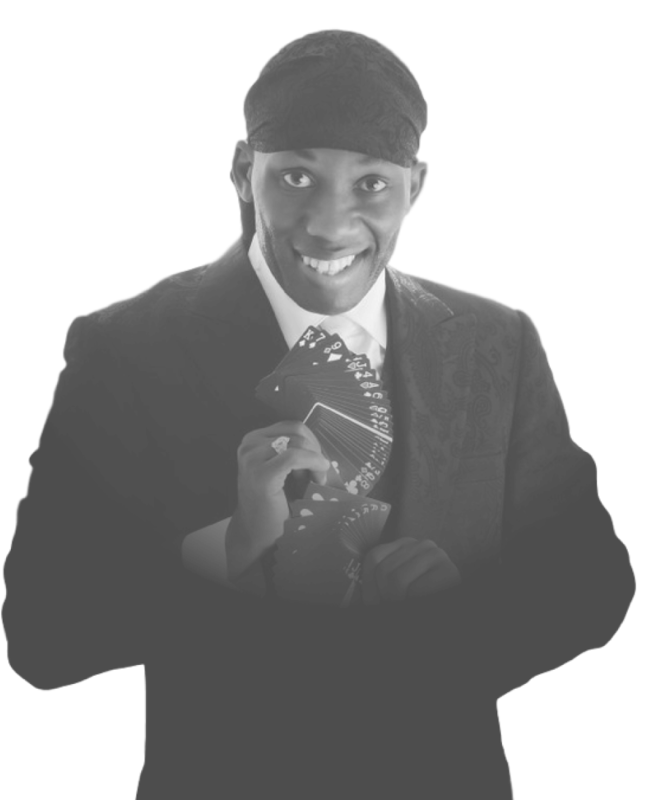 MAG!C began performing as an illusionist at the age of 12 because he loved doing magic. Twelve years later, working as a member of the nursing staff in a hospital, an encounter with one of his patients gave him the motivation to turn the hobby into a business. Since then, his audience has included HRH Queen Margaret of Denmark, Sir Paul McCartney, Madonna, David and Victoria Beckham, Nick Faldo, Mayor Bloomberg, Robbie Williams, Jane Seymour, Daniel Radcliffe, David Coulthard, Keanu Reeves, to name a few. MAG!C has also appeared in several television shows, including a guest appearance on BBC’s Eastenders and has performed in Las Vegas. When MAG!C is not entertaining his private or corporate clients, you can catch him at a number of London bars and restaurants.